The late Trevor and Elma Davis. Elma and Trevor Davis were both established members within bowl circles around the country. 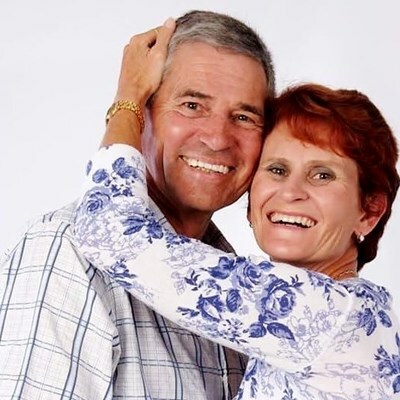 Trevor Davis, a member of the executive management of Bowls South Africa, allegedly shot his wife Elma, a Protea bowls player, at their residential complex in Mossel Bay, before turning the gun on himself on Sunday afternoon, reports Mossel Bay Advertiser. The couple were declared dead at the scene. 67-year-old Trevor Davis used a 12 gauge shotgun to shoot 52-year-old Elma before shooting himself. Police spokesperson warrant officer Pieter Koekemoer said when they arrived at the Davis’s home in Fijnboschpark, the doors were locked. Koekemoer said they had to force a door open in order to gain access to the house. The couple’s death has sent shock waves through the South African bows community in South Africa. President of the Eden Bowls Jenny Sinclair said the couple’s death is not only a tragic loss to their families, but to the bowls world too. Mossel Bay police, the community policing forum, and the fire department descended on the complex shortly after the incident.